Russian cinema is like a matryoshka: following the recursive method, which in the art criticism is called "mise-en-abîme", it plays with the various meanings. 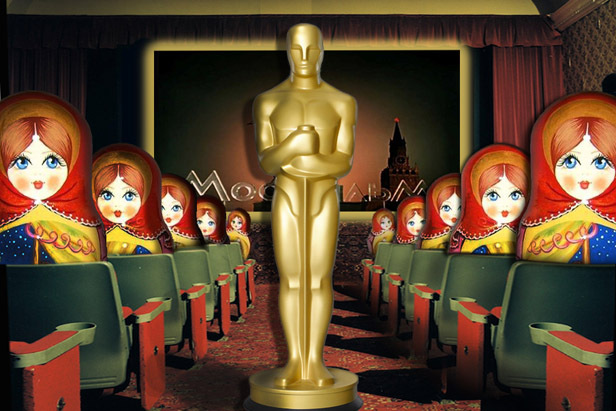 This video-blog is to help you to gain an insight into contemporary Russian cinema. Today we shall talk neither about Russian film directors, nor about Russian cinema industry. In this edition Russia is the main character. During the last month a team of foreigners were travelling all around Russia on a so-called Cinetrain. Last week we were invited to the presentation of this Project. On a question, whether the aim of the project had been to ruin stereotypes or to confirm them, the producers said that they had no particular target, they just wanted to see these steretypes from the other point of view. This statement sounds a bit trivial, may be that is why the producers had received ambiguous feedback. For example, Russian independent film-maker Alexander Rastorguev put a drop of poison in the tun of wine, accusing the participants of being non-professionals. But generally the audience was pleased, and the discussion was vivid. One spectator with Siberian roots said: "By virtue of your project I visited my Motherland, I've got a chance to greet (though virtually) my mother, my grandmother, to see my native places. Thank you!" "We offered participants a set of stereotypes and suggested that they choose the three closest to them. On the whole, everyone wanted to film women. In any event, a European man will look at a woman as any man looks at a woman. But a European woman is likely to look at a Russian woman from a slightly feminist viewpoint. We had a female participant from India; we decided that she should have her own outlook and so gave her this topic," - Tatiana Petrik (producer) told.